Choose one to one Tarot readings or come along with a friend. Also available for Online Skype readings. 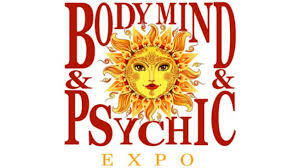 Tarot readings for your company Christmas function, End of Year celebrations and staff rewards. I use Doterra Essential Oils in my healings, they have an intelligence and integrity about them. Learn, experience and share Doterra. 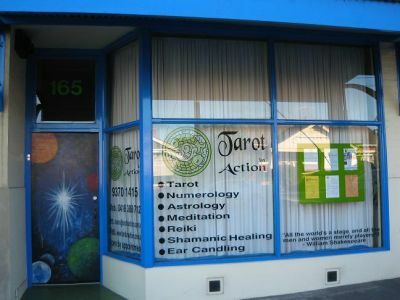 What a great way to say thank you to your family and friends with Tarot readings at your Hens party. As a Reiki Master I now offer you Reiki attunements. What a powerful way to tune into the universal energies and heal. he who won't, they will drag!" My love for Metaphysics and Tarot has sent me on a wonderful journey. No matter what has happened in my life I have always come back to Tarot for guidance and clarification. This new website is intended to complement my Tarot in Action business so that I can offer my unique and personalised services to a wider range of people around the globe. My aim, as always, is to provide guidance and clear direction as a wayshower and a change agent, so that you are empowered to be in control of your own life's journey. Today, I can also add Author to my list of attributes with the launch of my book "Tarot Distinctions." 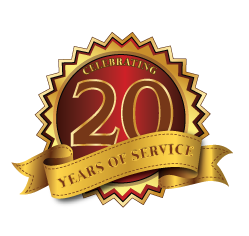 I welcome you to have a look and read through my website for more detailed information on all my services. Over 40 hours & 22 lessons, full on comprehensive Tarot training. Learn from the conforts of your own home Plus private practice sessions! ** NEW Tarot Distinctions Book for sale NOW! Over 460 pages in full colour, fabulous referenece manual. All Australian made, for those that want the details! I am very excited to launch my Tarot Distinctions Book. 4 years in the making! For all the latest information and how to purchase your copy, visit my Tarot Book webpage. In November 2010, I was honoured and privileged to be asked to present "The Secrets of Numerology" at the 7th International Feng Shui Assoc Annual Convention in Singapore. 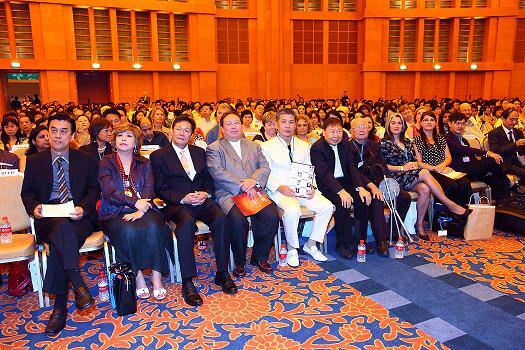 You can see in the photo I am sitting on the far right side, amidst Grand Masters of Feng Shui. Since 2010, I have been invited to return to Singapore every year to teach my Tarot in Action Beginners Masterclass, also Numerology Masterclass and to do Tarot Readings. 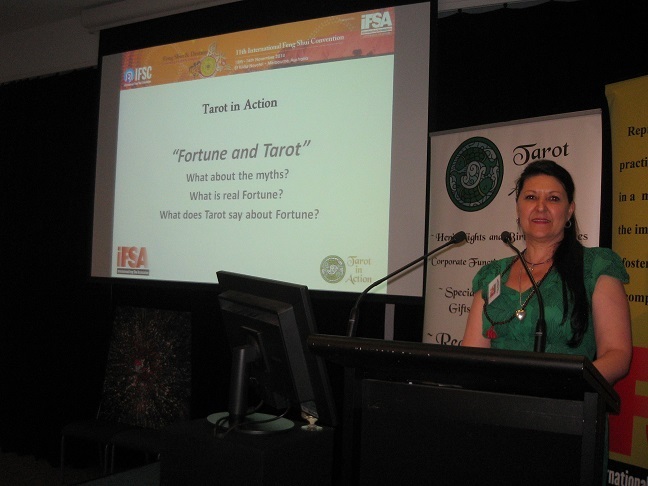 In 2014, I was asked once again to present "Fortune and Tarot" at the 11th International Feng Shui Convention held at the Novotel, Melbourne. It was wonderful to see all the Grand Masters of Feng Shui from all over the world to be in Melbourne for this event. I feel very honoured to continue with teaching Tarot in Singapore and have met some wonderful people and made new friends in doing so. I look forward to growing my association with the International Feng Shui Assoc both here and abroad. You can watch all my Tarot presentations via Youtube. If you would like to receive my monthly Newsletter called Revelations where I list all the latest classes, dates and times, Tarot related information and fun activities, a monthly Astrology report plus so much more. Please subscribe to my free e-Newsletter in the box provided below. I have always carried classic products that I sell through my shop and now also available through my online shop. You are welcome to paruse my Online Shop for my latest products and services. Please contact me via Email or phone me with any query and I may be seeing you soon! Now I can add Published Author to the list in 2018!